Alireza Ariafard obtained his Ph.D. from Islamic Azad University, Science and Research Branch(Iran) in the area of Inorganic Chemistry. He then carried out his postdoctoral training with Professor Zhenyang Lin at Hong Kong university of Science and Technology. 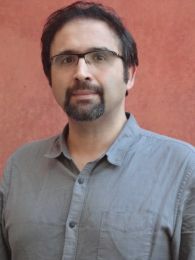 Following this, he was appointed as an Assistant Professor at Islamic Azad University, Central Tehran Branch, Iran. He currently is a research fellow in the School of Chemistry at UTAS and collaborates with Professor Brian Yates.